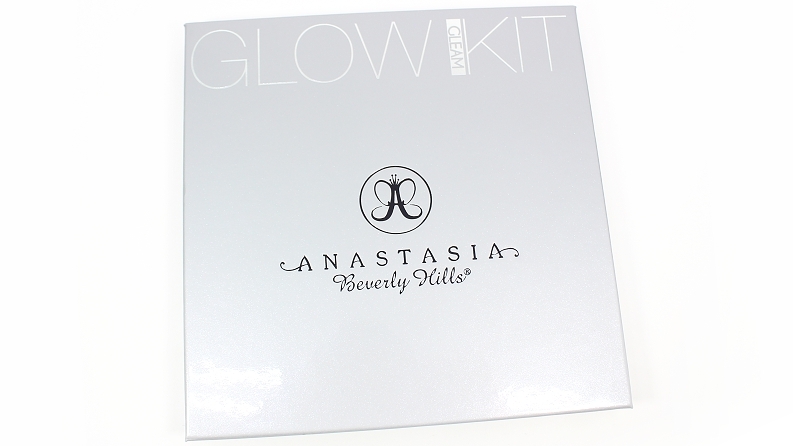 Anastasia Beverly Hills Glow Kit (4 x 0.26 oz.) retails for $40 USD ($52 CAD) and is said to be "a collection of glow kits with four metallic powder highlighters for intense luminosity." 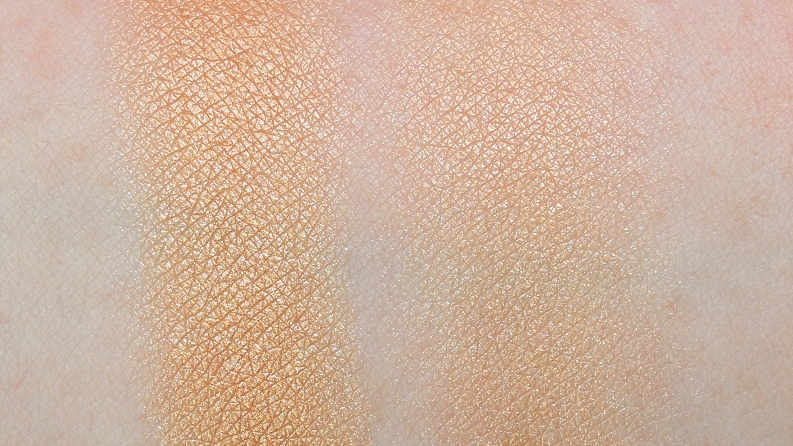 * Hard Candy is described as a mood-changing golden peach w/ a pink pearl reflective finish. 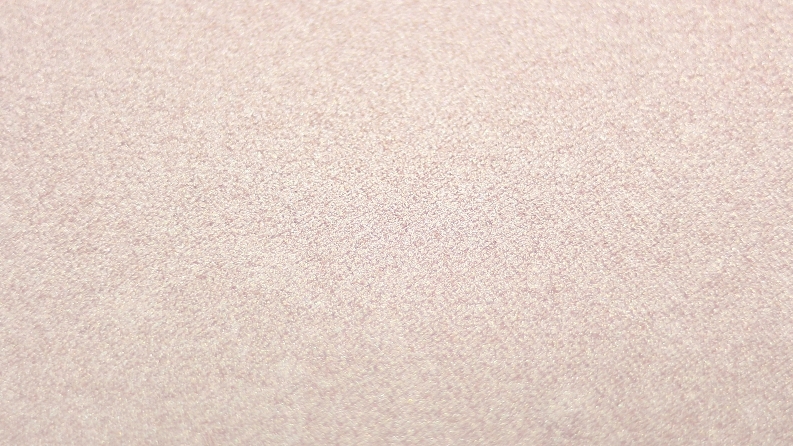 * Starburst is described as a rush of cool pink w/ an iridescent finish. * Crushed Pearl is described as a glimmering pink and silver w/ a crystalized chrome finish. 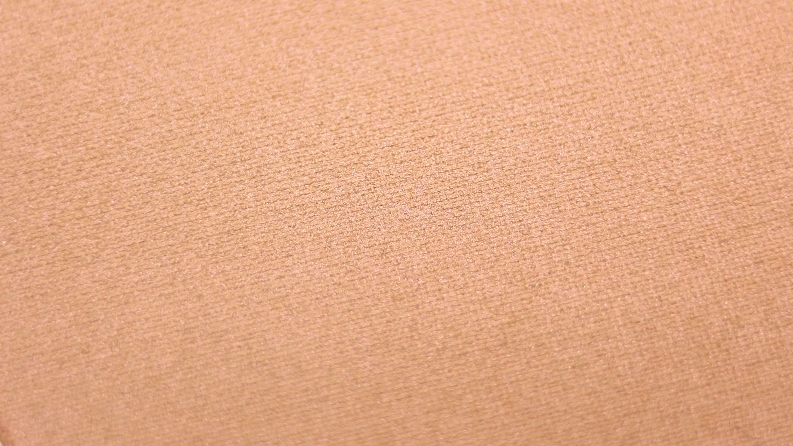 * Mimosa is described as a radiant golden peach w/ a metallic finish. 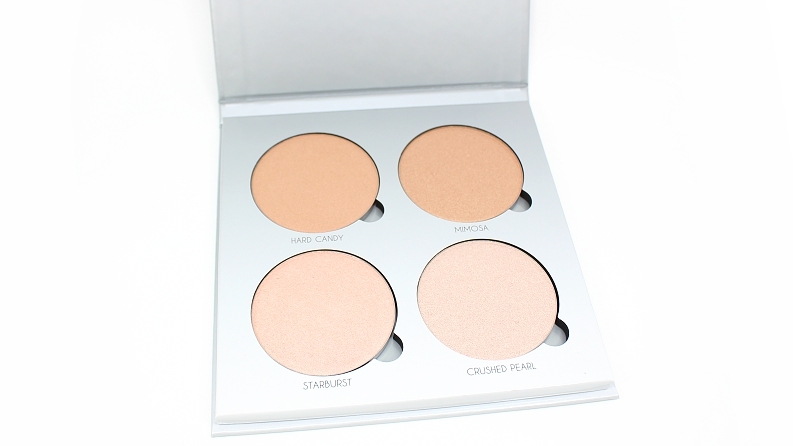 "Bring instant luminosity to the complexion with these four metallic powder highlighters. Just layer the highly blendable shades together or wear them separately on the eyes and body for a radiant look." 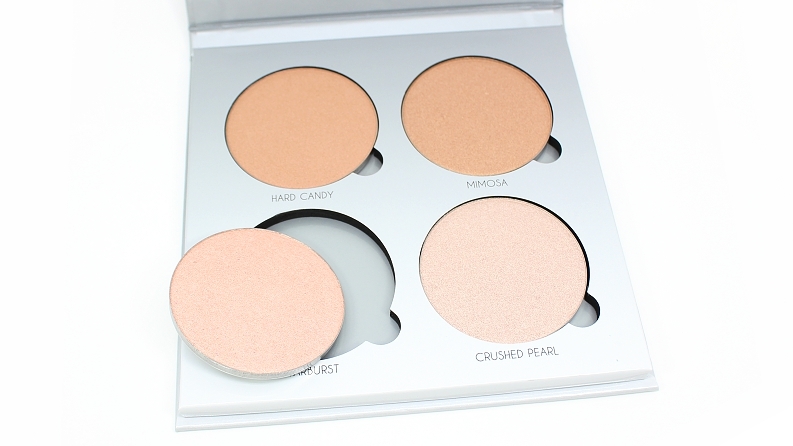 The packaging is sleek, cardboard palette with a magnetic closure that opens to reveal four rather large (0.26 oz. each, or 1.04 oz. in total) pans of product, which can be removed if desired—the back of the individual pans do list the product name and shade which is handy if you do happen to "depot" them. Also worth noting, the palette itself does not feature a mirror. The formula is a very soft, finely-milled, silky texture that blends out easily on the skin and can be worn both on the face, as well as the eyes. They have a shimmery sheen that looks luminous on the skin without overly emphasizing the look of pores or imperfections easily. * Urban Decay OC (LE) was warmer, less frosted. Urban Decay Fireball was lighter, more shimmery. 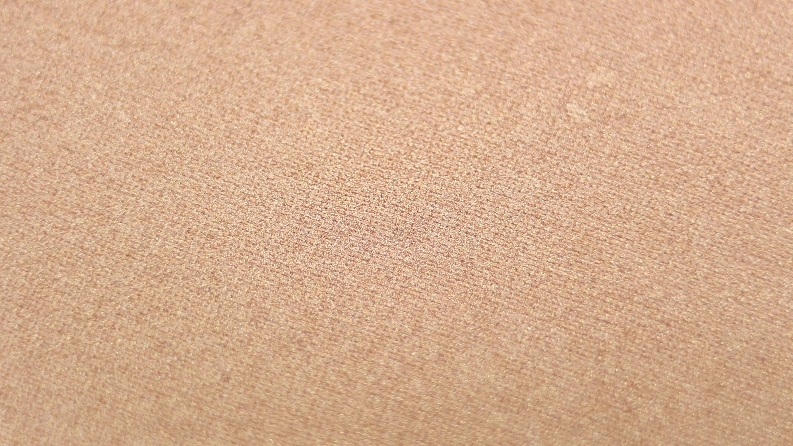 * MAC Shaft of Gold (LE) was darker, warmer, less metallic. Anastasia So Hollywood was lightler, more golden, frosted. Becca Topaz was darker, more golden. 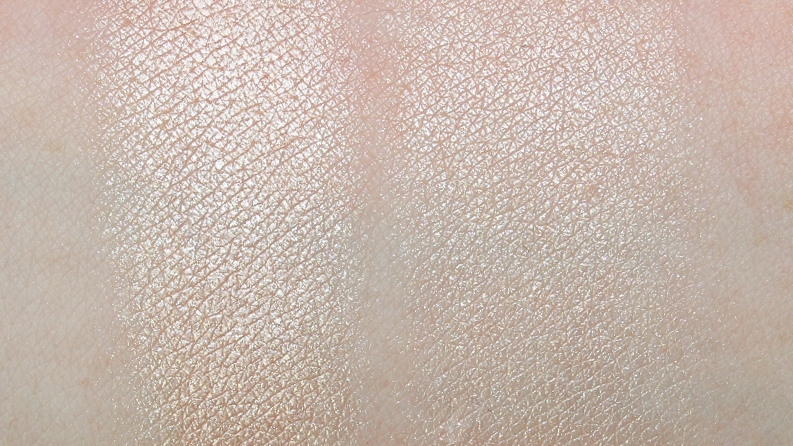 Laura Mercier Indiscretion was lighter, cooler, less metallic. * Laura Mercier Devotion was lighter, cooler, less metallic. 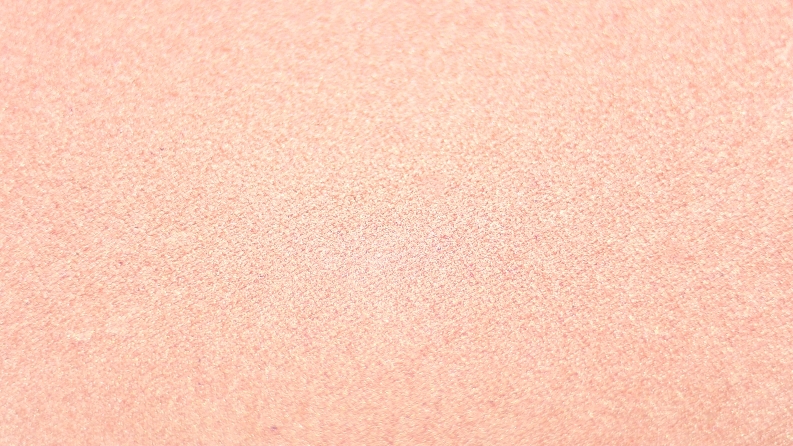 NYX Enigmatic was warmer, more pink, less frosted. 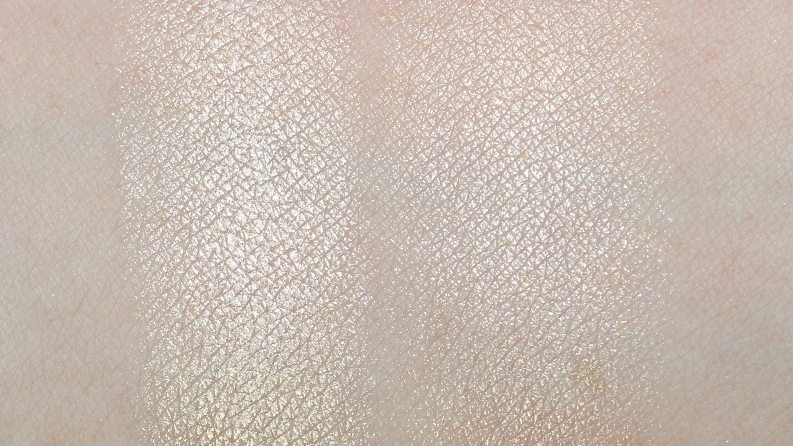 Urban Decay Aura was much cooler, lighter, less metallic. * Anastasia Starlight was less metallic. 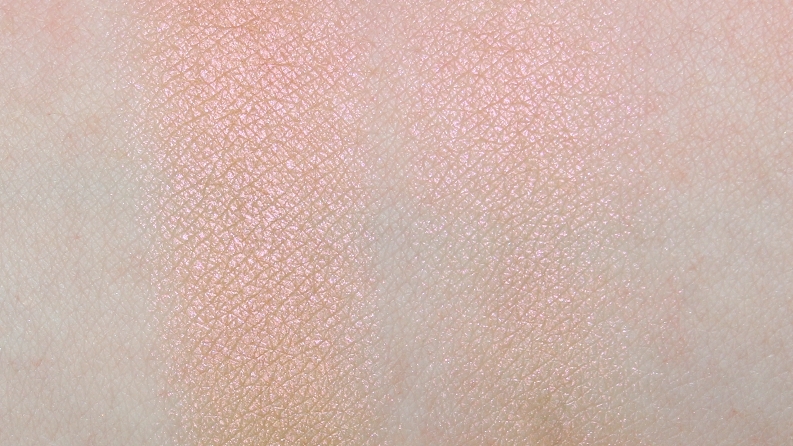 Becca Pearl was lighter, more opaque, less metallic. NYX Ice Queen was lighter, cooler, less metallic. 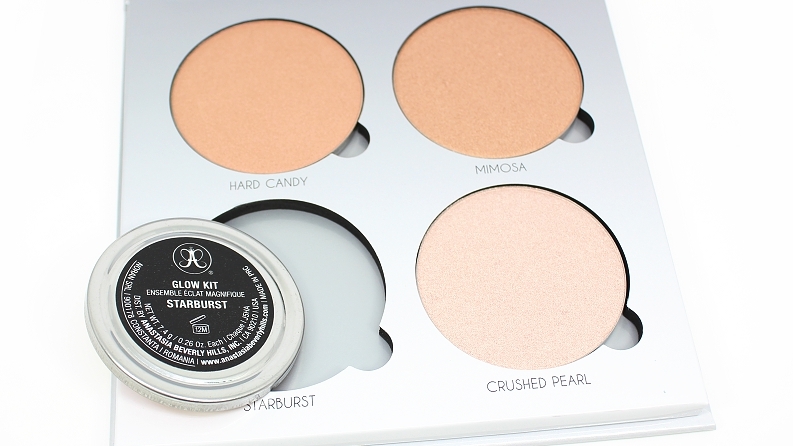 For those who prefer warmer, golden shades for highlighting, the Anastasia That Glow Glow Kit is also available and will likely be more appealing. It's kind of funny that while this palette is certainly much lighter and cooler than the other, the shades are still warm toned! 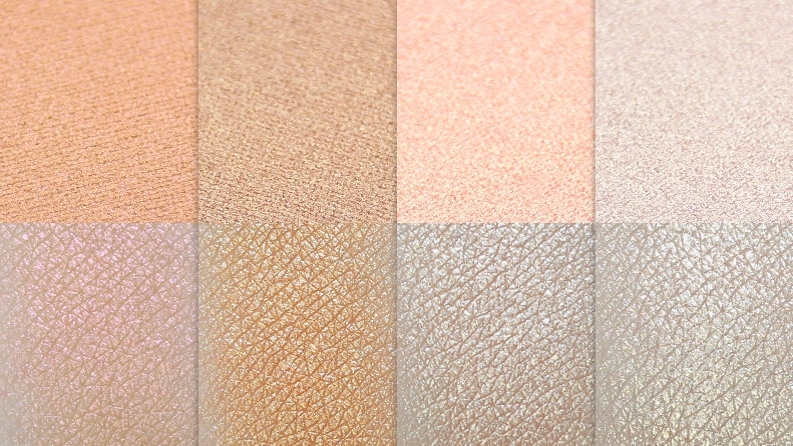 Overall, as you've probably heard a hundred times, these are excellent highlighters. They provide the most shine, by far and the amount of product you're getting for the price is a steal. I'm happy to see the brand already continue on with making new versions, shades and combinations of palettes. My one and only "complaint" is that the palette doesn't come with a mirror—that would have been a nice touch. 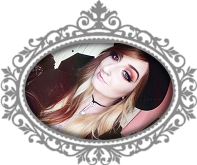 Regardless, whether you're a highlighter fan or these palettes have just caught your eye, I highly recommend checking them out!